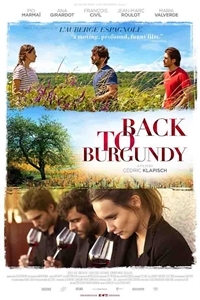 Back to Burgundy tells the story of Jean, who left his family and his native Burgundy ten years ago to tour the world. When learning of his father's imminent death he returns to his childhood home where he, his sister, Juliette, and brother, Jérémie, inherit their family vineyard. As the seasons go by and they work to save the vineyard, they'll have to learn to trust each other again and reinvent their relationship.